2K, 505 Games, BANDAI NAMCO Entertainment, Capcom, Codemasters, Deep Silver, Focus Home Interactive, SEGA, SNK CORPORATION, THQ Nordic GmbH, Warner Bros. Interactive Entertainment and Microsoft Studios, there’s something for everyone to enjoy and you will always find something exciting to play across a variety of genres. 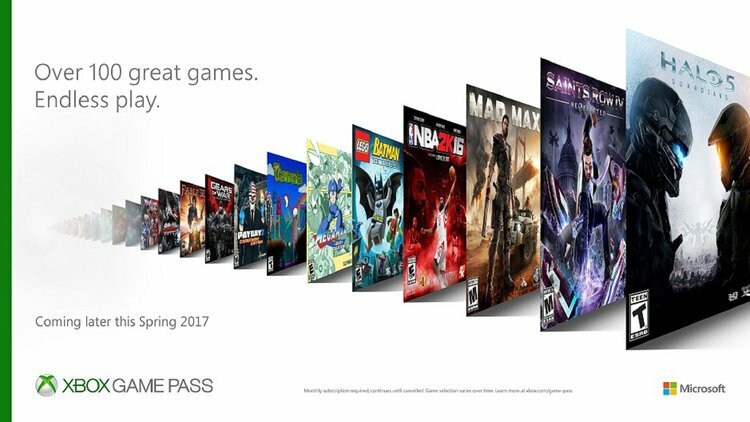 Some of the fan-favorite titles coming to Xbox Game Pass when it launches to the broader Xbox community later this spring include Halo 5: Guardians, Payday 2, NBA 2K16 and SoulCalibur II. The catalog will release a monthly rotating list of games that will go in and out of the service, and DLC for the games will be offered at a discounted price for members of the subscription. The service is expected to launch this Spring but some Xbox One Preview members will now have access to a select few titles today!